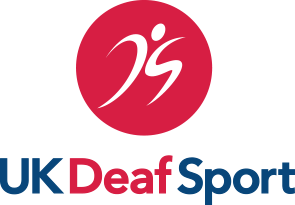 UK Deaf Sport (UKDS) is a recognised strategic lead for deaf sport across the UK. Their mission is to build a world leading system to enable more deaf people to participate and reach their full potential in sport. To visit the UK Deaf Sport website click here. 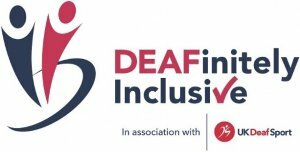 UK Deaf Sport launched the DEAFinitely Inclusive mark to encourage leisure centres and clubs to learn more about deaf and hard of hearing people so that they can participate in activities more often. With around 9 million people in the UK being deaf or hard of hearing, this scheme encourages inclusive and accessible sport for all.